NEW – LEISURE ISLAND HOLIDAYS – MEMBERSHIP CLUB! Few things in life beat a Tropical Island Holiday. The joy of escaping the everyday, finding your fun in the sun and spending quality time with your loved ones is priceless. 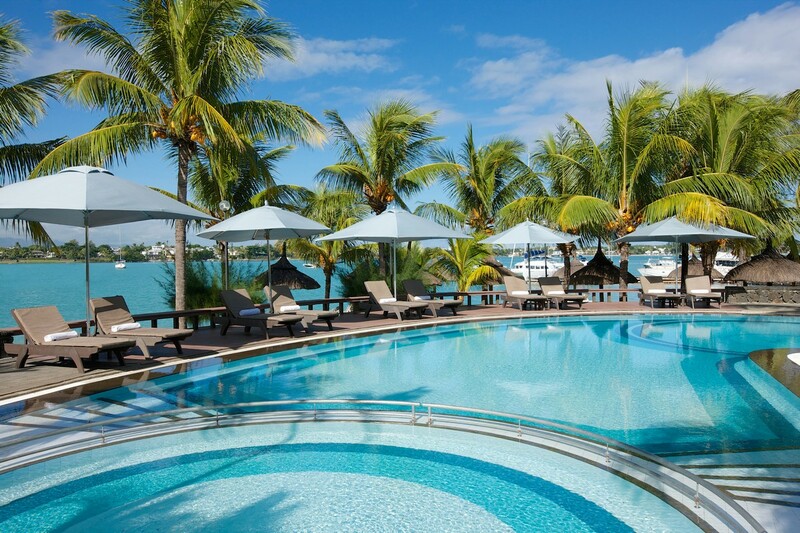 Above all, Leisure Island Holidays Membership Club gives you the chance to truly enjoy a setting that is Paradise. Leisure Island Holidays Membership Club allows you to receive your Tropical Island Holiday package @COST, making it a unique concept in island travel! Receive your affordable Tropical Island Holiday at Cost & Save thousands in Rand!! We Value Your Business – Price Match Commitment! If you find a better price online, please send us a copy of the online price and we will endeavour to match the rate. Please contact us for an updated quotation option. Your visa which is obtained on arrival. Items of a personal nature. Zanzibar is a Malaria area and precautions are recommended. Yellow Fever inoculations are compulsory for entry into Zanzibar. 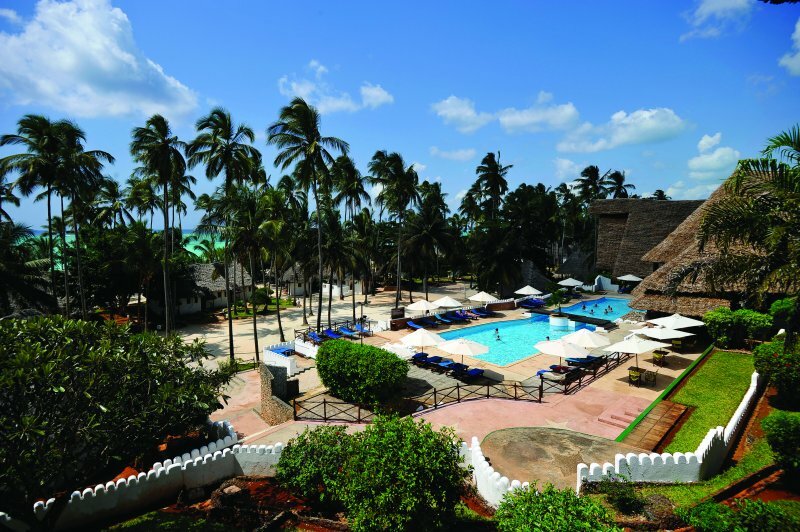 If you want to travel to Zanzibar for the pristine beaches rather than over-the-top luxury, then Diamonds Mapenzi Beach Club is a great option. Located on the East Coast, the beach is a long ribbon of silky soft sand and warm, tropical ocean. Staying at one of the smaller Resorts on the island offers you the opportunity to enjoy the spectacular scenery without the crowds, letting you relax and watch the local fishermen at work far out in the turquoise sea. 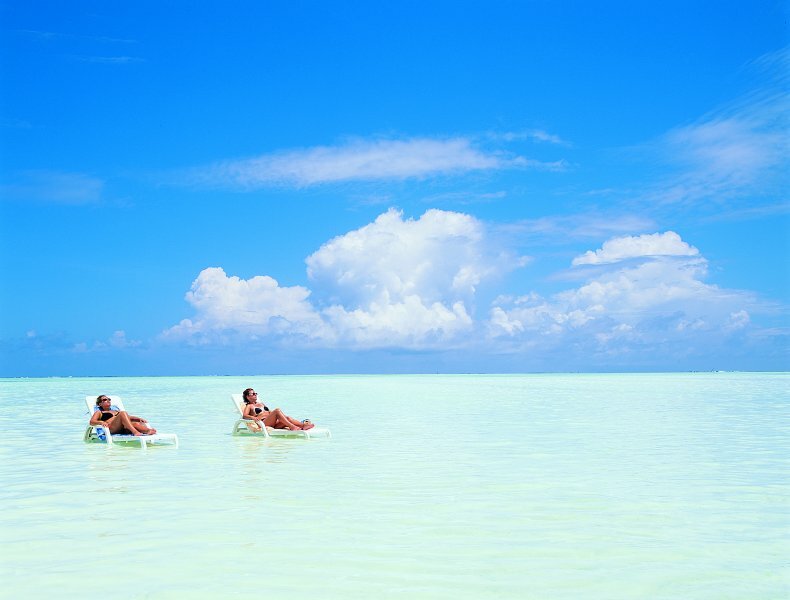 With a calm, welcoming vibe and friendly staff, this is a great place to unwind and enjoy the Zanzibar sun. Tanzanian Shilling, USD also accepted. Serves breakfast, lunch and dinner at buffet with a Swahili corner offering local dishes and flavours. The cuisine is international and evening dinners are themed. African Dinner once a week on the beach. Set near the beach, open for dinner . Dining it is included in the all-inclusive package once per stay. 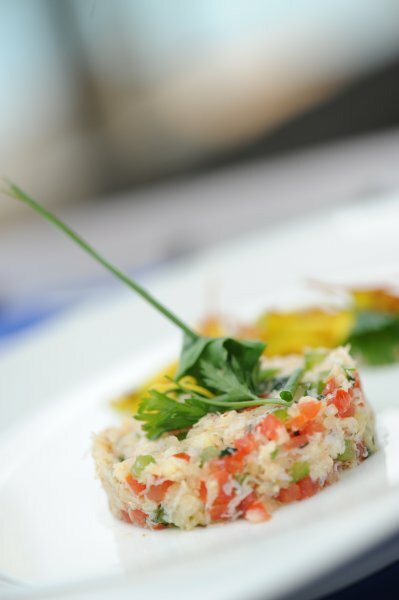 Set directly on the beach serves seafood specialities under small gazebos in a very romantic environment. Dinning require reservation at charge. Serves snacks, soft drinks, fruit juices, beer, cocktails, house wine, tea and coffee from 10 am. Spirits and long drinks are available from 6 pm till midnight. After midnight all drinks are at charge. Premium brand liquors are available at charge. The bar closes at 1 am. Serves snacks, soft drinks, fruit juices, beer, house wine, tea and coffee from 10 am to 6 pm. Open in the evening serves shisha, Arabic coffee and tea at charge. Follow the trail of the sultans, slaves and explorers in the winding streets of Stone Town. Revisit the history of Zanzibar in this treasure trove town and learn about the events that shaped Zanzibar. This walking tour provides you with a window into modern life in Stone Town. This tour is very flexible and can be adapted to suit your interest and time. you’ll have chance to see what life is like for Zanzibar citizens. An informative and action packed day, this tour gives a taste of everything found in all other Zanzibar excursions and is strongly recommended as a first excursion. Prison Island gets its name from the prison built to condemn Zanzibar citizens to the isolation of the island. Previously owned by an Arab to house his rebellious slaves, the prison was never used, and the island is now home to a tortoise sanctuary, prison ruins and hotel. Prison Island is 20 minutes from Stone Town by boat and is surrounded by a spectacular coral reef. For the more active, there is a hiking trail. In days past, Zanzibar was known as a spice island, exporting cloves, vanilla, nutmeg and cardamom across the world. plantations are a tribute to the island’s past – walk through the spice farm with your guide whilst you touch, smell and taste different spices and tropical fruits. A visit to a spice farm village gives you an insight into local life and the opportunity to try some Swahili dishes. in the various habitats of this tropical rainforest. The mangrove boardwalk takes you above the swamp, where, depending on the tide, you can see tropical fish flitting between the mangrove roots and crabs scuttling across. The Original Dhow Safaris operates the spectacular Sunset Dolphin Cruise in one of Zanzibar’s truly unique dhows, used for centuries to navigate the coast of Africa. Experience one of the most romantic sights in the world as pods of dolphins glide through the water. Enjoy traditional canapés with a glass or wine or beer during the two hour dhow cruise. Set sail towards Prison Island. Watch giant tortoises shuffle through the trees, discover the amazing underwater sea life before heading off to the sand bank, a seemingly uninhabited and quiet bank in the ocean which suddenly comes to life with millions of birds flying overhead and ghost crabs scurrying across the golden sands. After lunch relax on the sandbank listening to the hush of waves lapping against the shore. For the more active visitor, discover more of the breathtaking underwater life around the sandbank, before slowly sailing back to Stone Town. Please provide your membership number if you are a registered Holiday Club member. 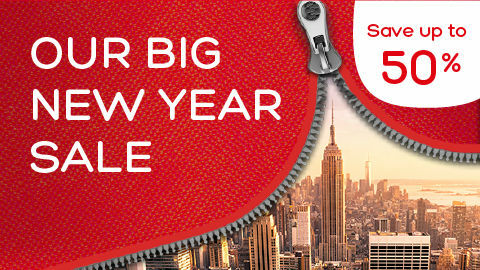 Click here to sign up & get your holiday at cost! Please Note: All children ages required. Would you like a quote on optional excursions? *Early Bird Discounts apply – discount is already included in the price. With giant palm trees casting long shadows over afternoon walks as flowering, exotic plants line the pathways, Veranda Grand Baie perfects the art of happiness through harmony. Veranda Grand Baie is authentic indigenous architecture, furnished balconies, summer cocktails and poolside dreaming. 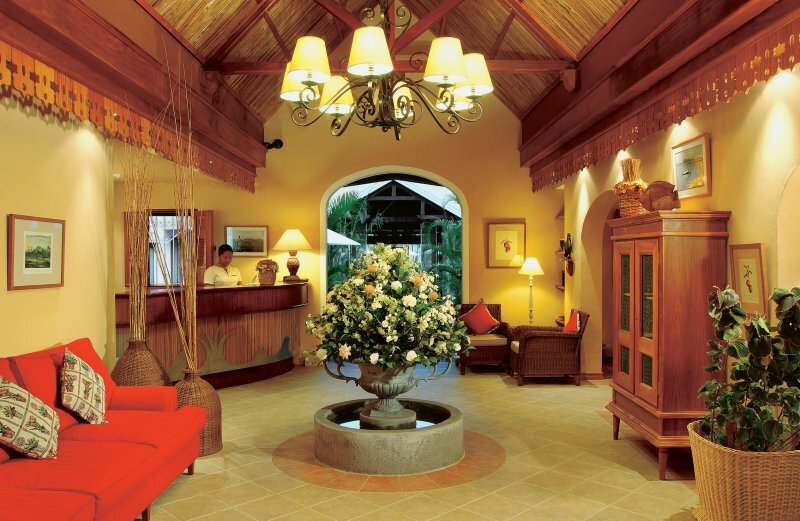 Veranda Grand Baie is warm Creole charm. 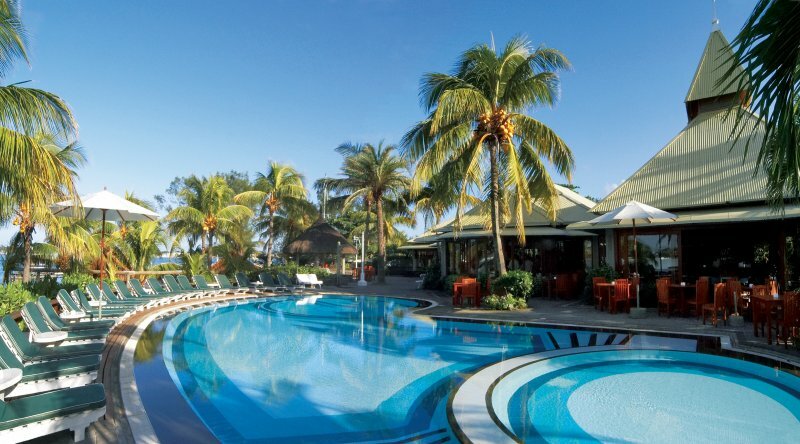 Situated in the heart of the vibrant village of Mauritius’ Grand Bay it offers a combination of shopping, adventure and relaxation on your beach holiday in Mauritius. 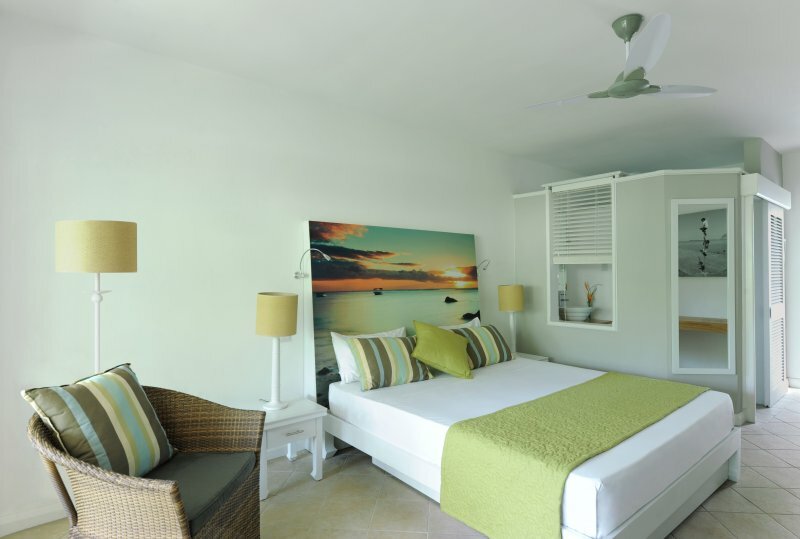 Veranda Grand Baie is ritzy luxury at affordable 3-star prices. With 94 exquisite rooms embellished in true happy-island-life style, the scene is set for a treasured beach vacation experience. 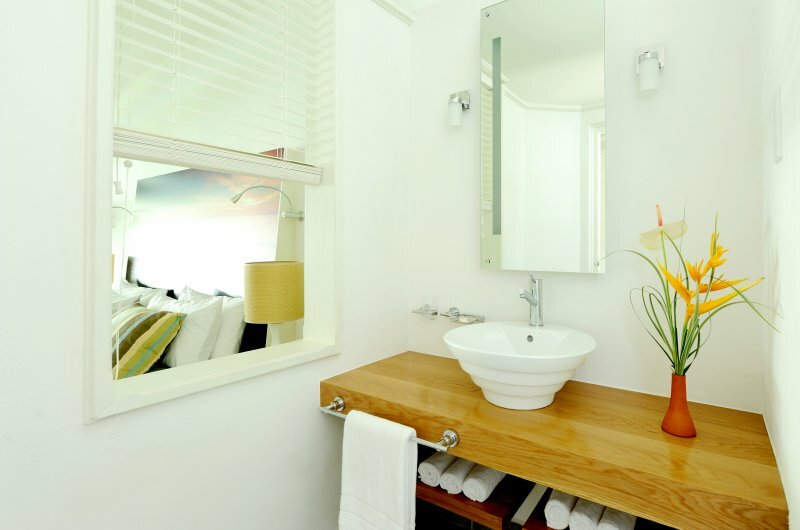 There are Comfort, Standard, Deluxe and Standard Deluxe options available, all with king-size beds, and furnished balconies that look down onto the hotel’s lush tropical gardens. Spicy scents of traditional Creole cuisine float along summery breezes enticing one and all to experience and enjoy gloriously original flavours at Le Mon Plaisir. 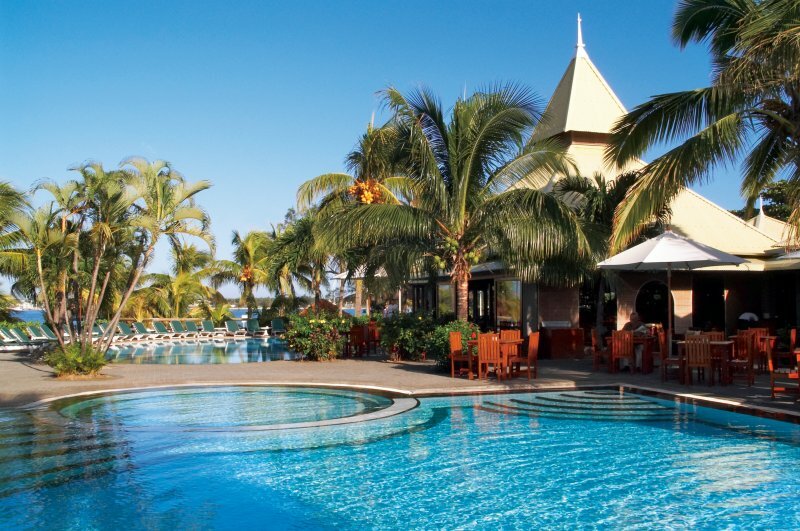 Overlooking the turquoise bay of Grand Baie, Belle Vue offers a charming dining experience of authentic Mauritian cuisine with a glorious view to match the exotic tastes. 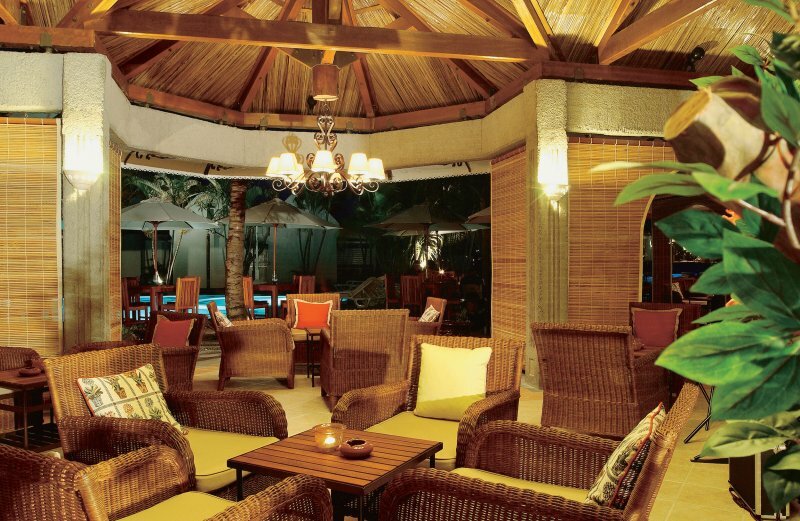 Summon long, lazy, balmy evenings by sipping on a traditional rum cocktail at Le Tilambic. Munch on snacks or order your heart’s desire from the pool. Make the most of crystal waters and sunny skies with long days spent snorkeling, windsurfing or lazing on quiet, calm beaches. 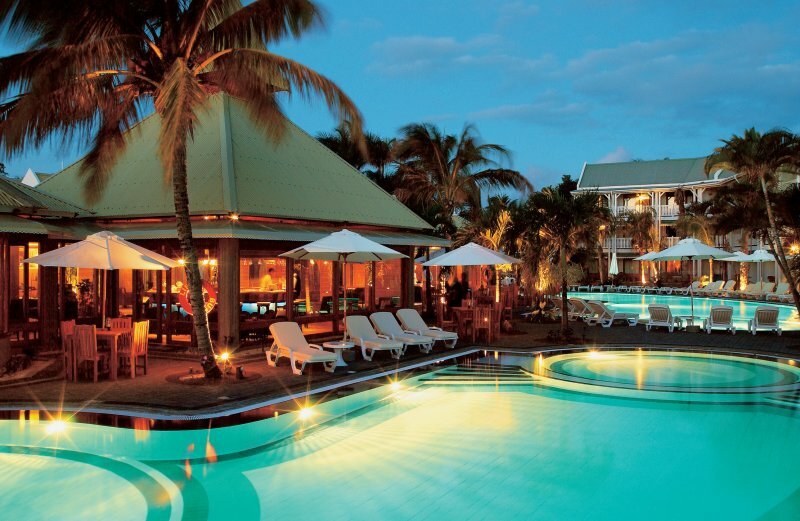 There is also daily live entertainment with traditional, themed dances – adding a special touch of enchantment to every tropical evening while you’re on holiday in Mauritius. 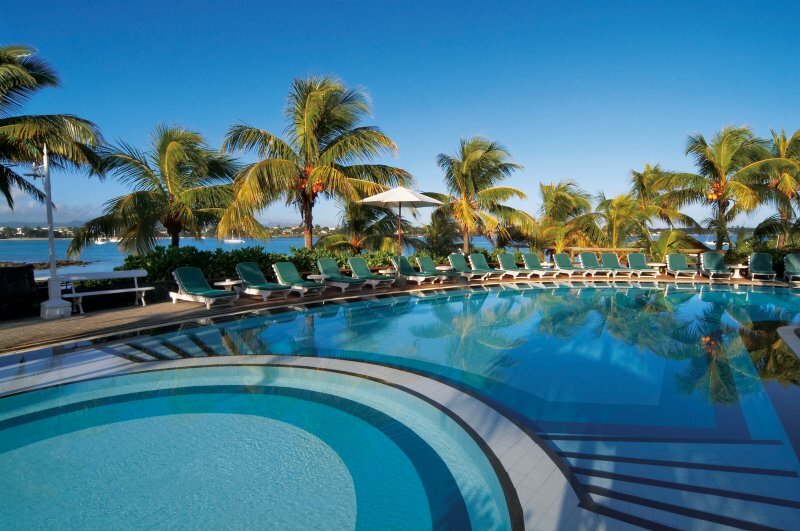 Complimentary water-sports available at Veranda Grand Baie Hotel include access to two pools and the aqua gym, windsurfing, kayaking, pedal boats, and snorkeling. Free land sports include beach volleyball, darts, tennis, table tennis and access to the fitness room. Water Skiing, fishing, diving (PADI), bicycle rental, billiard / pool table access, indoor games / electronic games and catamaran and sea cruises are available to all guests at extra cost. The Seven Colours Spa honours each individual’s needs through the philosophy of a total well-being experience for body, mind and soul. 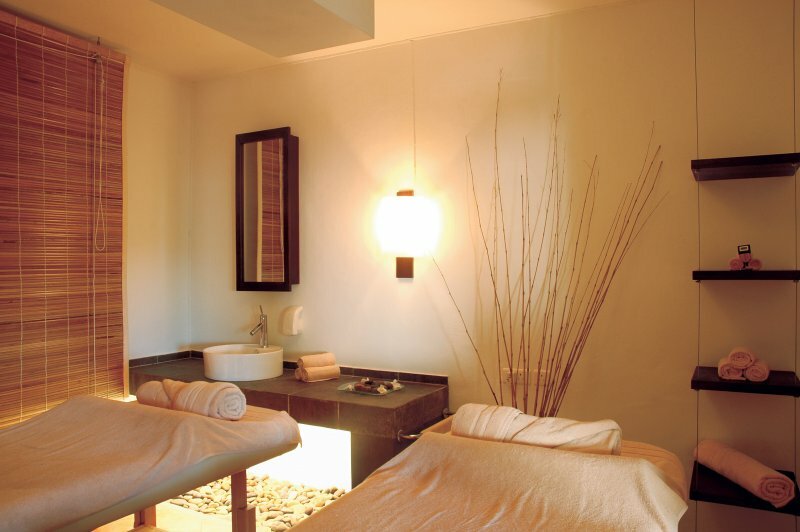 Pristine facilities and calm, cloud-white massage rooms with dark wood finishes create the perfect space in which to breathe, relax and enjoy being pampered. 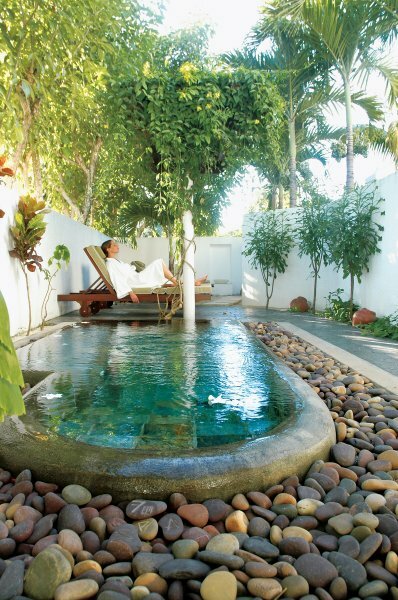 With an outdoor Jacuzzi, cushioned in earthy pebbles and indigenous greenery, a hammam, and a hair salon, you’re able to try something new everyday. The Timomo Kids’ Club offers parents the peace of mind that their children are being well looked after and greatly entertained. Children between the ages of 3 and 11 are invited to join in a host of indoor and outdoor activities under the supervision and guidance of qualified staff members. The Club is open daily from 8.30am-8pm. A baby-sitting service is available at extra cost. Visit Pamplemousses Botanical Gardens, Port Louis with shopping at Le Cauden Waterfront and Miraj. Optional visit to the Blue Penny Museum. Visit the Mauritius Glass Gallery to see traditional methods applied to recycled glass. Enjoy a panoramic view from Trou aux Cerfs, the dormant volcanic crater. Visit The Sacred Lake of Grand Bassin (Ganga Talao), site of Lord Shiva’s Temple and Black River Gorges. Lunch at the exclusive private forest lodge, Domaine Saint Denis followed by a visit to The seven coloured earths of Chamarel and Casela Park. Briefing by qualified instructors. Explore by Quad Bike, L’Etoile & Ferney Reserve with it’s panoramic views of the East, South East and North of the island.Traditional Mauritian lunch buffet. 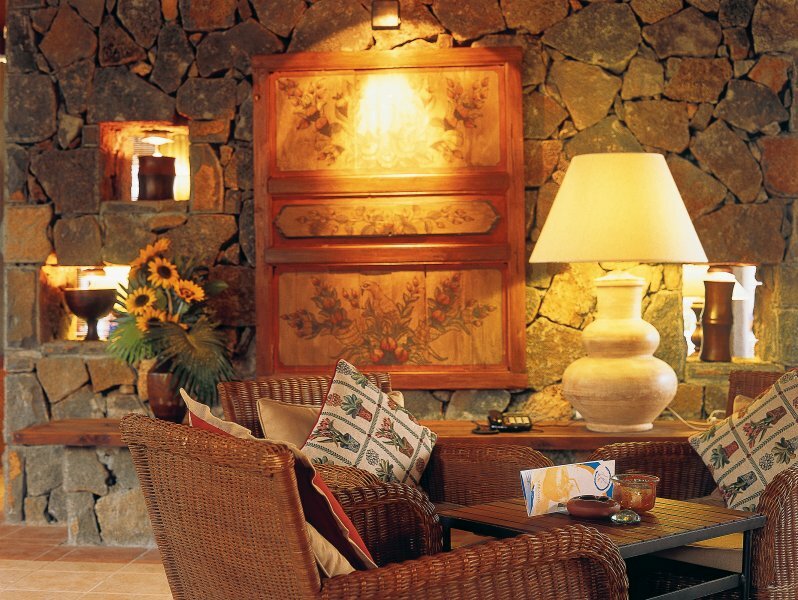 Visit Domaine des Aubineaux (1872), one of Mauritius’ remaining original colonial houses. Travel through some of the island’s most beautiful countryside, calling at vanilla and anthurium lily plantations and a traditional tea factory. Lunch at Saint Aubin, a fine 19th century plantation house lovingly restored to its former glory with the opportunity to buy unique Mauritian teas and traditionally distilled rum. Mon, Wed & Fri. Visit of Pamplemousses Botanical Gardens and the Sugar Museum – a great interactive experience. Shop for 12 varieties of exotic sugars and local rum then onto Miraj and Le Caudan Waterfront in Port Louis. Based at the factory site of Saint Felix sugar estate, situated in the South of the island. Travel by swift ‘zip-line’ at heights of around 30 metres, explore the river, the forest, cane fields and banana plantation. Halfway rest stop including a cooling swim in a natural pool followed by a typical Mauritian lunch included • Shopping Tour (half day) Mon Shopping in Curepipe and Floreal at boutiques and duty-free shops. Visit the diamond cutting workshop, a model ship factory – making exact model replicas of historic sailing ships, the ‘Mille et Une Nuits’ oriental carpet shop and the Mauritius Glass Gallery for hand blown glass. Full day catamaran cruise along the West Coast aboard O’Plézir, a spacious and well-appointed catamaran. Spot dolphins, swim and snorkel. Barbecue lunch prepared and served on board by the crew. Tue & Thur. Sail from Black River on the West Coast of the island. Watch the sun set over the horizon whislt enjoying cocktails and snacks. Full day catamaran cruise along the East Coast, the estuary of Grande Rivière Sud Est and its waterfall. 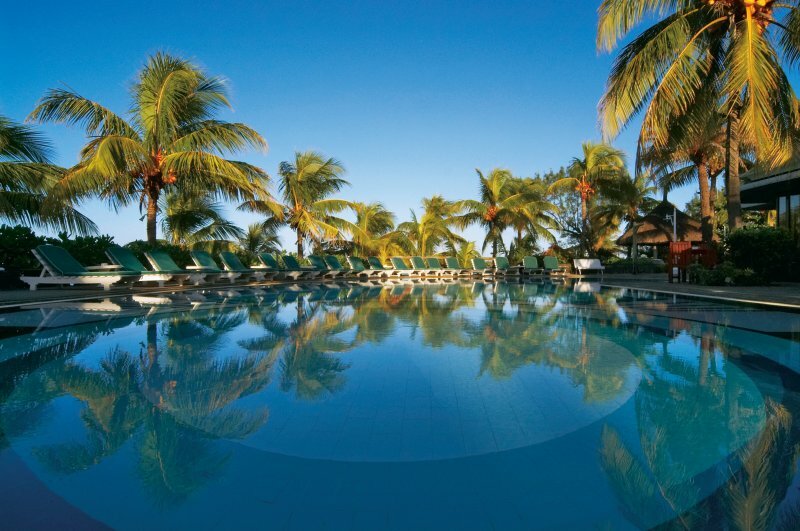 Opportunity for swimming and snorkelling plus a visit to Ile aux Cerfs. Barbecue lunch prepared and served on board by the crew. Walk on the seabed near the reef or explore it in a two-man motorised subscooter. 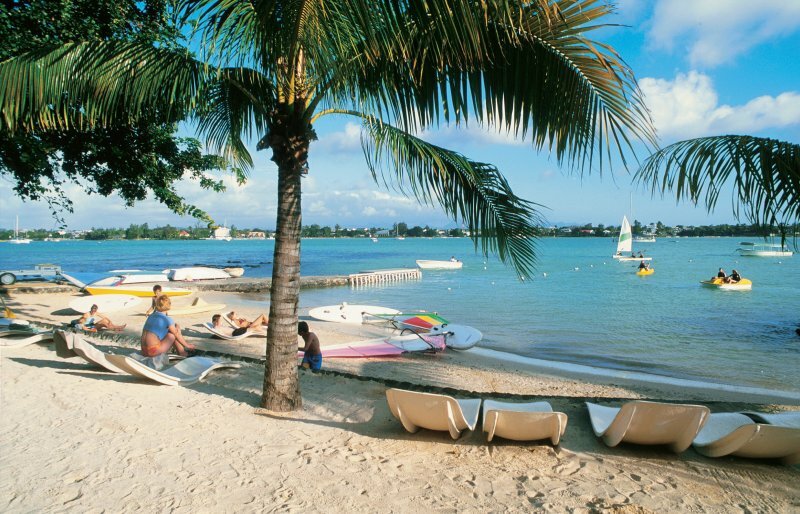 Lunch in the north of the island at a selected venue and afternoon shopping in Grand Baie. Charter your own catamaran, with a choice of itineraries Be pampered and waited on all day while sunning on deck. Enjoy the best spots for swimming, snorkelling and sunbathing. Barbecue lunch prepared by the crew and served on board. Also available for overnight charters. If you are a golfer looking for the perfect place to tee-up and swing then Mauritius has some serious treats in store for you. Here are some of the courses that you can expect to explore on your arrival in paradise. 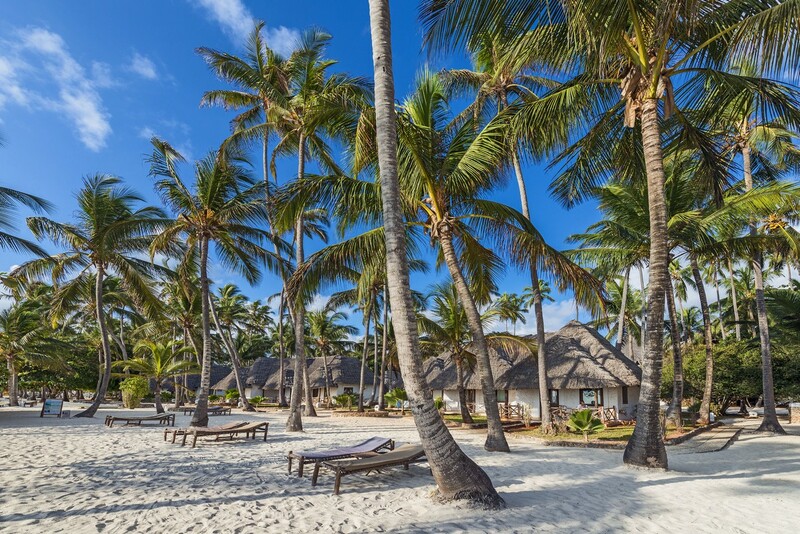 ‘The Legend’, designed by South African champion, Hugh Baiocchi, is the crowning achievement of Constance Belle Mare Plage. Each hole has its own distinctive characteristics, with many a surprise in store. Superb fairways are laid-out in the heart of an indigenous forest, culminating in perfect greens built to USPGA specifications. In an effort to provide the quintessential golfing location, all 18 greens were rebuilt using Tif Dwarf grasses to ensure a perfect surface. Time has also been taken to enhance the natural beauty of the site. Teeing off from the 17th hole (par 3) is a feast for the eyes and a test for the nerves. The second Belle Mare Plage Championship Golf Course, designed by Rodney Wright and Peter Allis opened in November 2002. This 18-hole Links course was conceived as a result of the success and demands encountered by Hotels Constance’s first course, ‘The Legend’. Sitting beneath the clubhouse which faces the setting sun, the course measures 5,942 m and is a Par 71. Equipped with a practice fairway, this 18-hole course is set in a location which seems to have been naturally created for the purpose of an exciting days golfing. Attached to two hotels, the Heritage Awali Golf & Spa Resort and the Heritage Le Telfair Golf & Spa Resort, the magnificent 18- hole “Golf du Château” golf course covers 100 hectares and is the masterpiece of architect Peter Matkovitch, of Peter Matkovich and Hayes, the world renowned South African architectural practice. Situated between the mountains and the sea in an undulating landscape interspersed with lakes, streams and tropical trees, this Par 72 championship course is both technically challenging and varied. The architects have elegantly integrated the two water courses that cross Golf du Château creating small lakes which enhance the demands made on technique, yet fully respecting the harmony and tranquillity of the surroundings. They have also integrated the magnificent Château of Bel Ombre and its gardens into the design of the golf course. “Golf du Château” consists of: two 9-hole courses.9 hole outside course 3,210m, 9 hole inside course is 3,297m, 3 by 3 vary from 140m to 200m, 4 by 4 from 320m to 430m, 4 by 5 from 490m to 520m. In addition, a mashie course has been created, a 9 hole par 3 course, ideal both for beginners as well as for more advanced golfers wanting to perfect their game. Mauritius has now joined the world’s list of premier golfing destinations, finally realising all golfers’ fantasies. This Ernie Els Championship golf course is managed by Four Seasons Mauritius and is built to USGA standards. With a 6,828 -meter course, it offers 5 tee positions and allows every handicap to enjoy an exhilarating tee-to-green experience from the pros and amateurs to children. To complete your golfing experience, the contemporary Mauritianstyled Golf Clubhouse has a Golf Pro shop that is fully-stocked with high end merchandise, as well as Le Club restaurant, bar, luxurious locker facilities, and friendly supportive staff. This 9-hole, Par 33 One&Only Golf Course is a Gary Player creation. The use of the course is complimentary to One&Only guests and for a nominal fee expert tuition is provided by the Academy’s Resident Pro. This 9-hole gem is unique to Mauritius as Le Saint Géran is the only course employing local grass on the fairways and greens. The local grass not only accentuates the exotic feel of the place but it also creates a challenge as it is thick and spongy, giving the ball some serious friction to overcome. Armies of coconut and palm trees frame the course with the shimmering azure of the Indian Ocean offering an eye-catching backdrop. There are a number of natural waterways strategically placed around the course creating a picturesque challenge for pros and beginners alike. Guests can also play 18 holes on Le Saint Géran with different departures. This 18-hole Championship Golf Course was designed by international design company Wright Golf Design, headed by Rodney Wright himself. 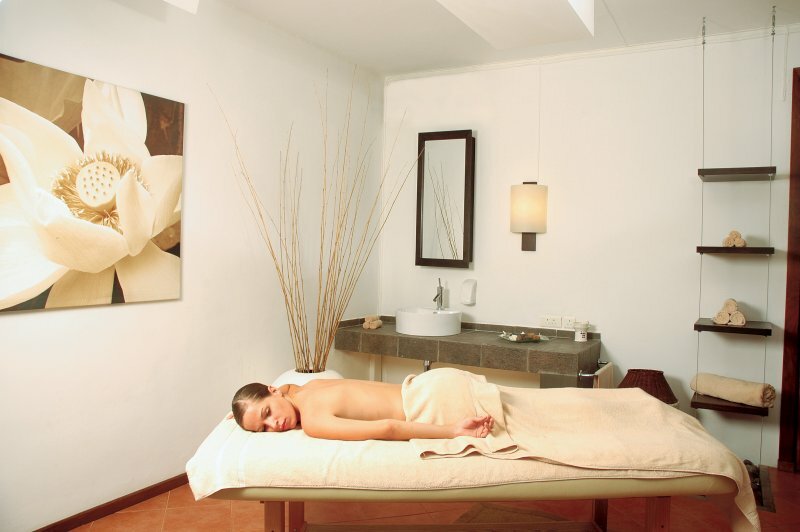 Tamarina has already received much acclaim for its uniquely pleasant and rewarding golfing experience. There are 5 different teeing options on every hole, offering possibilities for all handicaps. From the Professional tees the course measures 6886 metres making Tamarina a true championship test. Tamarina stretches alongside and crosses the Rempart River which plays a spectacular part in many holes, where you will be challenged to fly or swim. Many of the holes have been specially designed to give scenic views of Mount Rempart and the surrounding mountain ranges. The Mauritius Gymkhana Club is the oldest golf course in the southern Hemisphere and the fourth oldest golf course in the world (1844). Mauritius is the 3rd country to adopt golf as a sport after the UK and India (Royal Calcutta 1829, Royal Bombay 1842). Centrally located in the district of Plaines Wilhems and easily accessible the Mauritius Gymkhana Club offers an ideal setting for a round of golf. The climate is pleasant all year round except for the winter months when it is a bit wet. The golf course is a 5025 metre, 18-hole, Par 68 with challenging narrow fairways. Besides golf there are lawn tennis courts, a restaurant and a well equipped bar open throughout the day. Set on its own beautiful island off the East coast of Mauritius, separated from Le Touessrok hotel by a shimmering turquoise lagoon. The course, designed by Bernard Langer, covers 38 hectares and is the second longest in Mauritius, with holes snaking up and down the length of the island. All 18 holes have views of the ocean – some with glimpses across clearings through the trees; others by coming close to the shore. Facilities such as the Club House, restaurant, on-course refreshments, caddies, golf carts, locker rooms, bag storage clubs and shoe rental are available. And for those who feel their game might need some fine-tuning, Le Touessrok Golf Academy and practice area offers appropriate courses. This ranks among the most spectacular on the island. The 18-hole Par 72 stretches to the foot of Le Morne Mountain and curls back along the edge of a peaceful lagoon. The greens are planted with Seashore Paspalum, an ideal turf for the tropics. The last 9 holes spread along the coastline and 5 water obstacles offer a tranquil challenge to all. Shandrani features a 768-metre golf course, which runs along the banks of the lagoon, ensconced by a beautiful 50-acre tropical garden. With a “tee-off” located 100 metres away from the beach, this course is both stimulating and fun. The difficulty resides in its small size, which best suits calculated and accurate swings. Perfect for beginners or those who wish to improve their short game.